As discussed in the previous blog here we are to create multiple games interesting to get a hands on our game coding which will be very interesting believe me. When you see colorful or live output for the code you developed, games are fantastic for this, as you are specifically programming everything you see. From this you get clarity on concepts like loops functions and of course UI. Here you will not only implement your coding skills but also logic, physics and some part of AI. 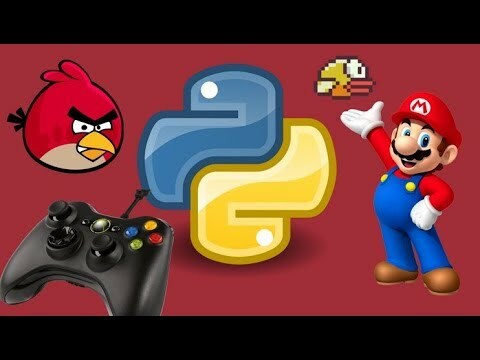 We are using python 3 gaming and core python as back-end programming. So we are going to create two games. Here we will not be using any official frameworks we are using core python. We will be using loops specifically I have used while loops use can also use other loops and for loops for multiple level. We will be using conditional statements. We have also use if else and else if statements We will be using built in functions as well as user defined functions. We have used multiple python libraries for multiple functionalities. We have used time library of python which is preinstalled. We are using this library to make use of time related functions. Then we have used Random Library which is again preinstalled, this module implements pseudo-random number generators to generate random numbers. For integers it uses uniform selection from a range. For sequences it uses uniform selection of a random element. And lastly we have used pygame library we have well discussed in our previous blog. We will have multiple levels in our game with time conditions, it will let multiple people play the game with more than one life. So, that's it for more detailed guide Github code . I am Andrew Alan a hacker who has built a very good reputation and undeniably one of the best hackers you can come across.i have got access to hack into any account and also get to generate passwords for accounts like Facebook,Instagram,Twitter,gmail,yahoo mail,whats-app,we-chat,etc..I also have logins for bank like BOA,welsfargo,chase,credit union,capital one, and many other different banks for transfers and credit card top ups,Retrieving hacked social media accounts,clearing criminal records,increase credit scores,CC hack,hacking computer systems,Website hack,Catch hacker scammers,Phishing emails, that's to mention a few.You can contact me on. If you don’t want to read comments and just want a quick score to see if it’s worth playing a game, Stick RPG 2 is for you. It’s not a review site in itself, but instead adds results from multiple Sports Heads Basketball game review websites (similar to Rotten Tomatoes for movies). Many game lovers will need to select between different kinds available over the internet. While some of them may prefer the card games, some people like to secure their games and other accounts and they used online strong password generator sites. Many websites have specific requirements regarding a password complexity. So, you can easily use online random password.